It is always believed that Samsung will be the first smartphone to unveil a foldable screen. But do you know that not just Samsung, but even Motorola also has a foldable phone? Here is all that you need to know about the Motorola Foldable Phone. 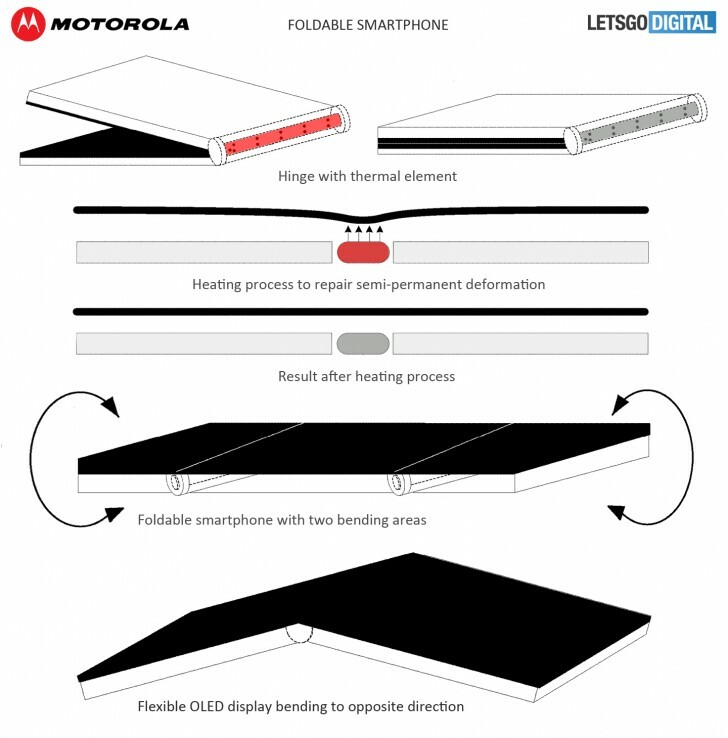 Motorola, now a Lenovo owned company has been granted a patent for a foldable smartphone with a thermal element in the hinge. This thermal element heats up the place where the screen has been deformed from being folded and then straightens it. 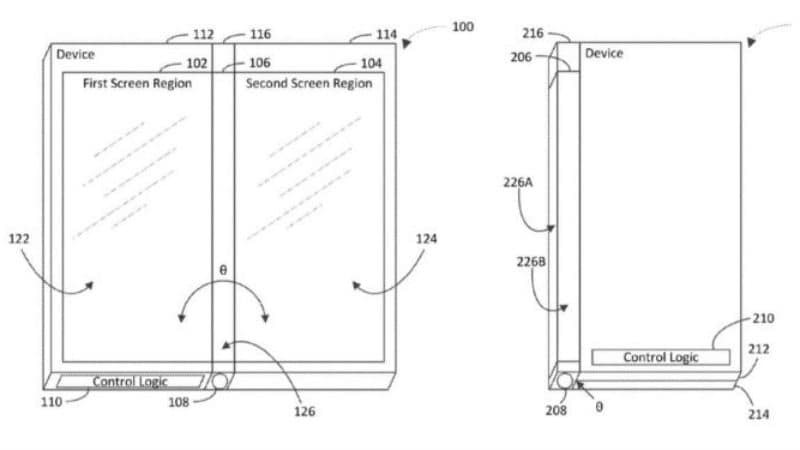 This design would allow Motorola to make a flexible OLED smartphone that can fold any side. This is a flexible OLED smartphone screen. The screen flexes both inward and outward. The screen even has more than one hinge to fold it even tighter. Is this technology new? No, Motorola has filed the patent application way back in 2016. So, why haven’t we seen a phone like this, then? Well, it seems that Motorola has been busy with its present lineup of phones. Moto’s design team will also be involved with the design and production of Lenovo phones too. But that does not mean that we can expect a Motorola foldable phone anytime soon. Though the technology is really clever, the patent is not accompanied with a phone and so it is unlikely that we’ll be seeing a phone soon. As far the market trend is going, we can expect Samsung to come up with an innovation like that for now. And that too, Samsung is also going to bring out a flexible OLED phone. This will be other than an ordinary HD screen that will be far more easier to fold or roll. But that is also not going to happen anytime soon, and we can expect something like this only by next year. For now, Moto’s flagship is the Z series, and it also seems that Moto would be working towards bettering that series than jumping towards a whole new thought. Till then, we can only wait for Moto to announce this new project.